Do I Have a NJ Personal Injury Claim? 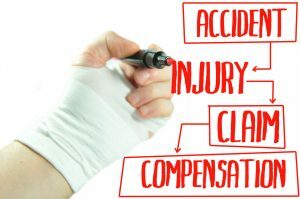 In general, a personal injury claim (sometimes referred to as a third-party claim) is designed to allow the victim of an accident to recover financial compensation for their injuries and medical expenses, lost income if they are unable to work, and the physical and emotional suffering they have experienced as a result of their injuries. However, just because a person is injured in an accident doesn’t necessarily mean that they will have a Morris County personal injury claim. There are several key requirements to any successful injury claim, and not every type of accident injury claim is pursued in the same manner. For example, motor vehicle accidents like car accidents and motorcycle accidents in particular can differ from other types of personal injury claims due to how New Jersey auto insurance policies work. With that being said, if you have been injured in any kind of accident such as a construction accident, an accident on a poorly maintained property, a work-related accident, a ladder or scaffolding accident, a pedestrian accident, by a defective product, and more, here is what you need to know regarding whether or not you will be able to file a personal injury claim, and how strong that claim may be when it comes time to recover compensation for your injuries and damages. The first requirement of a personal injury claim is that of a third party or parties having acted in a reckless or negligent manner, and that these actions were directly responsible for your accident. There are many different regulations, rules, and governing bodies for many different potential situations. For example, if you were injured as a result of an accident with a truck or commercial vehicle, the first place you and your Netcong injury attorney will want to look when it comes to determining whether or not the responsible parties acted in a reckless or negligent manner is the National Highway Safety Traffic Administration (NHSTA). The NHSTA regulates what kinds of safety measures commercial vehicles and trucks need to have in place in order to safely transport goods on our roads and highways, and it may be the case that your truck accident injuries were caused by a violation of one of these rules or regulations. On the other hand, that same truck accident have been the result of negligent hiring and employment policies, in which case you may instead wish to check with the regulations set forth by the Federal Motor Carrier Safety Administration (FMCSA). The bottom line is that there are many different ways for a person or company to act in a reckless or negligent manner, and considering that proving this element is a key factor of any personal injury claim, it is highly recommended that you work with an experienced Netcong injury attorney in order to prove that acts of negligence were responsible for causing your accident and resulting injuries. The second requirement of a successful personal injury claim is being able to prove that you did in fact suffer injury(s) as a result of your accident, and the full extent of said injury(s). The most important part of this process is speaking with a doctor as soon after your accident as possible. Not only can a doctor fully document your injuries, by speaking with a doctor in a timely manner, you can more easily prove that your injuries were caused by the accident in question, and not by some other incident which may or may not have occurred after your accident. Your Dover accident and injury lawyer will most likely also want to consult with experienced medical professionals who can help to determine exactly how much your injuries are going to cost in terms of medical expense in the long-term. Serious injuries such as traumatic brain injuries and spinal cord injuries will require extensive, long-term treatment and rehabilitation, and it is important that your personal injury claim recovers compensation for not only the money you have spent thus far on medical costs, but the money that you will continue to spend in order to treat your injuries. Finally, now that you have proven that an accident occurred and that this accident was the result of the reckless or negligent actions of another person or party, the last piece of the puzzle is to prove that your injuries were the direct result of the accident in question. Here again speaking with a doctor as soon after your accident as possible will go a long way towards proving this element, but there are many other factors involved in this process. For example, your Hopatcong personal injury attorney will want to gather accident report documents, video evidence when possible, witness testimony, and any other information which can help to prove that your injuries were caused by the accident that you are claiming actually caused these injuries. Just as with proving the extent of your injuries, proving that your accident was what directly lead to your injuries may also require consultation with professionals in a variety of fields, professionals who can knowledgeably speak to how a product, machine, etc is supposed to work, how it failed in this case, why that failure caused your injuries, and why that failure was the result of the reckless or negligent actions of a third party. As you can see, a great deal of investigation, qualification, and presentation of evidence goes into the successful recovery of financial compensation during personal injury claims of all kinds. For these reasons and more, it is highly recommended that you consult with an experienced personal injury attorney any time you or a loved one has been injured in accident so that they can walk you through the entire process, help you gather and present all of these various pieces of information, and ultimately secure full and fair personal injury compensation. At The Law Offices of Michael P. Burakoff, we have extensive experience working with clients and families injured in all manner of accidents in towns across New Jersey, Morris County, and Sussex County, including Netcong, Dover, Hopatcong, Newton, Morristown, Denville, Parsippany, Florham Park, East Hanover, Morris Plains, Mt. Olive, and more. Attorney Michael Burakoff takes a unique approach to personal injury law in that he understands just how traumatic a serious injury can be for the entire family and not just the injury victim, and seeks to involve all concerned members of the family during the personal injury recovery process as a result. With millions of dollars already recovered for injured clients and their families, Michael Burakoff is ready to provide you and your family with the kind of knowledgeable, effective, and attentive legal representation that you need and deserve when it comes to securing a successful personal injury claim. To speak with Michael Burakoff and our legal team today in a free and confidential consultation regarding your accident, your injuries, your options for recovering financial compensation, and how exactly we can help you to do so, please contact us online, or through either our Morristown office or our Newton office at (973) 520-0525.